QQ Development Limited (“HKEXAM” or “we”) operates HKEXAM.COM, which is a social networking service that allows Members to create unique personal profiles online in order to find and communicate with old and new friends. 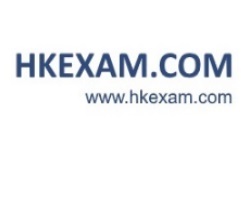 The services offered by HKEXAM include any HKEXAM branded URL (the "HKEXAM Website"), and any other features, content, or applications offered from time to time by HKEXAM in connection with HKEXAM’s business (collectively, the "HKEXAM Services"). The HKEXAM Services are hosted in Hong Kong. 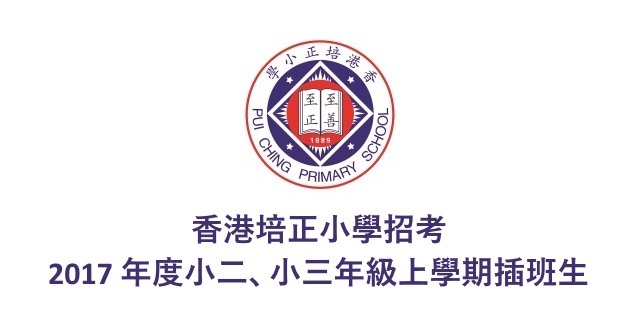 This Agreement includes HKEXAM' policy for acceptable use of the HKEXAM Services and Content (as defined in Section 6.1 below) posted on or through the HKEXAM Services and your rights, obligations and restrictions regarding your use of the HKEXAM Services and Content posted on or through the HKEXAM Services. In order to participate in certain HKEXAM Services, you may be notified that you are required to download software or content and/or agree to additional terms and conditions from HKEXAM. Unless otherwise provided by the additional terms and conditions applicable to the HKEXAM Services in which you choose to participate, those additional terms are hereby incorporated into this Agreement. HKEXAM may modify this Agreement from time to time and such modification shall be effective upon posting by HKEXAM on the HKEXAM Website. Your continued use of the HKEXAM Services after HKEXAM posts a revised Agreement signifies your acceptance of the revised Agreement. It is therefore important that you review this Agreement regularly to ensure you are updated as to any changes. 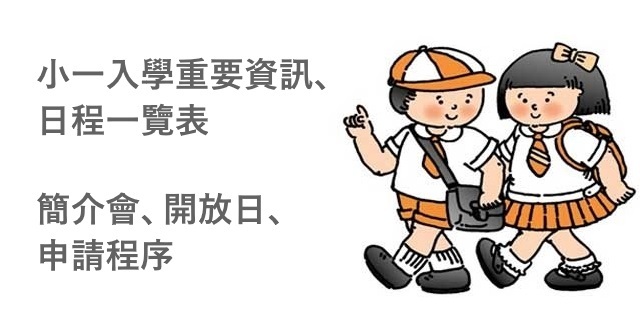 Please choose carefully the information you post on or through the HKEXAM Services and that you provide to other Users. Your HKEXAM profile may not include any form of Prohibited Content, as outlined in Section 8 below. Despite this prohibition, information, materials, products or services provided by other HKEXAM Members (for instance, in their profile) may, in whole or in part, be unauthorized, impermissible or otherwise violate this Agreement, and HKEXAM assumes no responsibility or liability for this material. If you become aware of misuse of the HKEXAM Services by any person, please click on the Contact Us at the bottom of the HKEXAM Website pages. HKEXAM reserves the right, in its sole discretion, to reject, refuse to post or remove any posting (including private messages) by you, or to deny, restrict, suspend, or terminate your access to all or any part of the HKEXAM Services at any time, for any or no reason, with or without prior notice or explanation, and without liability. HKEXAM expressly reserves the right to remove your profile and/or deny, restrict, suspend, or terminate your access to all or any part of the HKEXAM Services if HKEXAM determines, in its sole discretion, that you have violated this Agreement or pose a threat to HKEXAM and/or its Users and/or violating any applicable law. 1. Eligibility. Use of the HKEXAM Services and registration to be a Member for the HKEXAM Services ("Membership") is void where prohibited. By using the HKEXAM Services, you represent and warrant that (a) all registration information you submit is truthful and accurate; (b) you will maintain the accuracy of such information; (c) you are 14 years of age or older; and (d) your use of the HKEXAM Services does not violate any applicable law or regulation. Your profile may be deleted and your Membership may be terminated without warning, if we believe that you are under 14 years of age, if we believe that you are under 18 years of age and you represent yourself as 18 or older, or if we believe you are over 18 and represent yourself as under 18. 2. Term. This Agreement, and any posted revision to this Agreement, shall remain in full force and effect while you use the HKEXAM Services or are a Member. You may terminate your Membership at any time, for any reason, by following the instructions on the Member's Account Settings page. HKEXAM may terminate your Membership at any time, for any or no reason, with or without prior notice or explanation, and without liability. Even after Membership is terminated, this Agreement will remain in effect, including Sections 5-17. 3. Fees. You acknowledge that HKEXAM reserves the right to charge for any portion of the HKEXAM Services and to change its fees (if any) from time to time in its discretion. If HKEXAM terminates your Membership because you have breached the Agreement, you shall not be entitled to the refund of any unused portion of fees or payments (if any). 4. Password. When you sign up to become a Member, you will also be asked to choose a password. You are entirely responsible for maintaining the confidentiality of your password. You agree not to use the account, username, or password of another Member at any time or to disclose your password to any third party. You agree to notify HKEXAM immediately if you suspect any unauthorized use of your account or access to your password. You are solely responsible for any and all use of your account. 5. Use by Members. The HKEXAM Services are for the personal use of Members and may be used for promotional purposes as well, but direct commercial endeavors may only be used if they are specifically endorsed or authorized by HKEXAM. HKEXAM reserves the right to remove commercial content in its sole discretion. Illegal and/or unauthorized use of the HKEXAM Services, including collecting usernames, userid numbers and/or email addresses of Members by electronic or other means for the purpose of sending unsolicited email or unauthorized framing of or linking to the HKEXAM Website, or employing third party promotional sites or software to promote profiles for money, is prohibited. Commercial advertisements, affiliate links, and other forms of unauthorized solicitation may be removed from Member profiles without notice or explanation and may result in termination of Membership privileges. HKEXAM reserves the right to take appropriate legal action for any illegal or unauthorized use of the HKEXAM Services. 6. Proprietary Rights in Content on HKEXAM. 6.1 HKEXAM does not claim any ownership rights in the text, files, images, photos, video, sounds, musical works, works of authorship, applications, or any other materials (collectively, "Content") that you post on or through the HKEXAM Services. After posting your Content to the HKEXAM Services, you continue to retain any such rights that you may have in your Content, subject to the limited license herein. By displaying or publishing ("posting") any Content on or through the HKEXAM Services, you hereby grant to HKEXAM (see Copyright Policy ) a limited license to use, modify, delete from, add to, publicly perform, publicly display, reproduce, and distribute such Content solely on or through the HKEXAM Services, including without limitation distributing part or all of the HKEXAM Website in any media formats and through any media channels, except Content marked "private" will not be distributed outside the HKEXAM Website. This limited license does not grant HKEXAM the right to sell or otherwise distribute your Content outside of the HKEXAM Services. After you remove your Content from the HKEXAM Website we will cease distribution as soon as practicable, and at such time when distribution ceases, the license will terminate. If after we have distributed your Content outside the HKEXAM Website you change the Content’s privacy setting to "private", we will cease distribution of such "private" Content outside the HKEXAM Website as soon as practicable after you make the change. 6.2 The license you grant to HKEXAM is non-exclusive (meaning you are free to license your Content to anyone else in addition to HKEXAM), fully-paid and royalty-free (meaning that HKEXAM is not required to pay you for the use on the HKEXAM Services of the Content that you post), sublicensable (so that HKEXAM is able to use its affiliates, subcontractors and other partners such as Internet content delivery networks and wireless carriers to provide the HKEXAM Services), and worldwide (because the Internet and the HKEXAM Services are global in reach). 6.3 You represent, warrant and covenant that: (i) you own the Content posted by you on or through the HKEXAM Services or otherwise have the right to grant the license set forth in this Section 6, and (ii) the posting of your Content on or through the HKEXAM Services does not violate any applicable laws, including but not limited to the privacy rights, publicity rights, intellectual property rights, copyrights, contract rights or any other rights of any person or entity. You agree to pay for all royalties, fees, and any other monies owing to any person or entity by reason of any Content posted by you on or through the HKEXAM Services. 6.4 The HKEXAM Services contain Content of HKEXAM ("HKEXAM Content"). HKEXAM Content is protected by copyright, trademark, patent, trade secret, industrial secret, and other laws, and HKEXAM owns and retains all rights in the HKEXAM Content and the HKEXAM Services. HKEXAM hereby grants you a limited, revocable, nonsublicensable license to reproduce and display the HKEXAM Content (excluding any software code) solely for your personal use in connection with viewing the HKEXAM Website and using the HKEXAM Services. 6.5 The HKEXAM Services contain Content of Users and other HKEXAM licensors. Except as provided within this Agreement, you may not copy, modify, translate, publish, broadcast, transmit, distribute, perform, display, or sell any Content appearing on or through the HKEXAM Services. 6.6 HKEXAM performs technical functions necessary to offer the HKEXAM Services, including but not limited to transcoding and/or reformatting Content to allow its use throughout the HKEXAM Services. 7.1 HKEXAM may reject, refuse to post or delete any Content for any or no reason, including Content that in the sole judgment of HKEXAM violates this Agreement or which may be offensive, illegal or violate the rights of any person or entity, or harm or threaten the safety of any person or entity. HKEXAM assumes no responsibility for monitoring the HKEXAM Services for inappropriate Content or conduct. If at any time HKEXAM chooses, in its sole discretion, to monitor the HKEXAM Services, HKEXAM nonetheless assumes no responsibility for the Content, no obligation to modify or remove any inappropriate Content, and no responsibility for the conduct of the User submitting any such Content. 7.2 You are solely responsible for the Content that you post on or through any of the HKEXAM Services, and any material or information that you transmit to other Members and for your interactions with other Users. 7.3 You are solely responsible for ensuring that all Content that you post on or through any of the HKEXAM Services, and any material or information that you transmit to other Users, conforms to all applicable data protection and privacy laws, including ensuring that you have obtained the prior consent of any and all individuals whose personal information you use and/or disclose on or through HKEXAM. 8.17 promotes propaganda and/or symbols of organizations which are unconstitutional or illegal in your country. 8.31 using the HKEXAM Services in a manner inconsistent with any and all applicable laws and regulations. 9 Protecting Copyrights and Other Intellectual Property. HKEXAM respects the intellectual property of others, and requires that our users do the same. You may not upload, embed, post, email, transmit or otherwise make available any material that infringes any copyright, patent, trademark, trade secret or other proprietary rights of any person or entity. HKEXAM has the right to terminate the Membership of infringers. If you believe your work has been copied and posted on or through the HKEXAM Services in a way that constitutes copyright infringement, please refer Copyright Policy . 10. Member Disputes. You are solely responsible for your interactions with other HKEXAM Members. HKEXAM reserves the right, but has no obligation, to become involved in any way with disputes between you and other Members. 12. Disclaimers. HKEXAM is not responsible for and makes no warranties, express or implied, as to the User Content or the accuracy and reliability of the User Content posted on or through the HKEXAM Services, whether caused by Users of the HKEXAM Services or by any of the equipment or programming associated with or utilized in the HKEXAM Services and such User Content does not necessarily reflect the opinions or policies of HKEXAM. Profiles and third party applications created and posted by Members on the HKEXAM Website may contain links to other websites. HKEXAM is not responsible for the content, accuracy or opinions expressed on such websites, and such websites are not necessarily investigated, monitored or checked for accuracy or completeness by HKEXAM. Inclusion of any linked website on the HKEXAM Services does not imply approval or endorsement of the linked website by HKEXAM. When you access these third-party sites, you do so at your own risk. HKEXAM takes no responsibility for third party advertisements or third party applications that are posted on or through the HKEXAM Services, nor does it take any responsibility for the goods or services provided by its advertisers. HKEXAM is not responsible for the conduct, whether online or offline, of any User of the HKEXAM Services. HKEXAM assumes no responsibility for any error, omission, interruption, deletion, defect, delay in operation or transmission, communications line failure, theft or destruction or unauthorized access to, or alteration of, any User or Member communication. HKEXAM is not responsible for any problems or technical malfunction of any telephone network or lines, computer online systems, servers or providers, computer equipment, software, failure of any email or players due to technical problems or traffic congestion on the Internet or on any of the HKEXAM Services or combination thereof, including any injury or damage to Users or to any person's computer related to or resulting from participation or downloading materials in connection with the HKEXAM Services. Under no circumstances shall HKEXAM be responsible for any loss or damage, including personal injury or death, resulting from use of the HKEXAM Services, attendance at a HKEXAM event, from any User Content posted on or through the HKEXAM Services, or from the conduct of any Users of the HKEXAM Services, whether online or offline. The HKEXAM Services are provided "AS-IS" and as available and HKEXAM expressly disclaims any warranty of fitness for a particular purpose or non-infringement. HKEXAM cannot guarantee and does not promise any specific results from use of the HKEXAM Services. 13. Limitation on Liability. IN NO EVENT SHALL HKEXAM BE LIABLE TO YOU OR ANY THIRD PARTY FOR ANY INDIRECT, CONSEQUENTIAL, EXEMPLARY, INCIDENTAL, SPECIAL OR PUNITIVE DAMAGES, INCLUDING LOST PROFIT DAMAGES ARISING FROM YOUR USE OF THE HKEXAM SERVICES, EVEN IF HKEXAM HAS BEEN ADVISED OF THE POSSIBILITY OF SUCH DAMAGES. NOTWITHSTANDING ANYTHING TO THE CONTRARY CONTAINED HEREIN, HKEXAM 'S LIABILITY TO YOU FOR ANY CAUSE WHATSOEVER AND REGARDLESS OF THE FORM OF THE ACTION, WILL AT ALL TIMES BE LIMITED TO THE AMOUNT PAID, IF ANY, BY YOU TO HKEXAM FOR THE HKEXAM SERVICES DURING THE TERM OF MEMBERSHIP. 14. Disputes. The Agreement shall be governed by, and construed in accordance with, the laws of the Hong Kong SAR, without regard to its conflict of law provisions. You and HKEXAM agree to submit to the exclusive jurisdiction of the courts located within the Hong Kong to resolve any dispute arising out of the Agreement or the HKEXAM Services. EACH OF THE PARTIES HEREBY KNOWINGLY, VOLUNTARILY AND INTENTIONALLY WAIVES ANY RIGHT IT MAY HAVE TO A TRIAL BY JURY IN RESPECT OF ANY LITIGATION (INCLUDING BUT NOT LIMITED TO ANY CLAIMS, COUNTERCLAIMS, CROSS-CLAIMS, OR THIRD PARTY CLAIMS) ARISING OUT OF, UNDER OR IN CONNECTION WITH THIS AGREEMENT. FURTHER, EACH PARTY HERETO CERTIFIES THAT NO REPRESENTATIVE OR AGENT OF EITHER PARTY HAS REPRESENTED, EXPRESSLY OR OTHERWISE, THAT SUCH PARTY WOULD NOT IN THE EVENT OF SUCH LITIGATION, SEEK TO ENFORCE THIS WAIVER OF RIGHT TO JURY TRIAL PROVISION. EACH OF THE PARTIES ACKNOWLEDGES THAT THIS SECTION IS A MATERIAL INDUCEMENT FOR THE OTHER PARTY ENTERING INTO THIS AGREEMENT. 15 Indemnity. You agree to indemnify and hold HKEXAM, its subsidiaries, and affiliates, and their respective officers, agents, partners and employees, harmless from any loss, liability, claim, or demand, including reasonable attorneys' fees, made by any third party due to or arising out of your use of the HKEXAM Services in violation of this Agreement and/or arising from a breach of this Agreement and/or any breach of your representations and warranties set forth in this Agreement and/or if any Content that you post on or through the HKEXAM Services causes HKEXAM to be liable to another. 16. Other. This Agreement is accepted upon your use of the HKEXAM Website or any of the HKEXAM Services and is further affirmed by you becoming a Member. This Agreement constitutes the entire agreement between you and HKEXAM regarding the use of the HKEXAM Services. The failure of HKEXAM to exercise or enforce any right or provision of this Agreement shall not operate as a waiver of such right or provision. The section titles in this Agreement are for convenience only and have no legal or contractual effect. HKEXAM is a trademark of HKEXAM. This Agreement operates to the fullest extent permissible by law. If any provision of this Agreement is unlawful, void or unenforceable, that provision is deemed severable from this Agreement and does not affect the validity and enforceability of any remaining provisions. Please contact us at admin@hkexam.com with any questions regarding this Agreement. iSAYINGS Happiness, it has been observed, is best achieved by those who have been most unhappy heretofore.